Everyone has a past including Ezekiel Clemons, the world's most influential and noticeable evangelist. Despite traveling the globe preaching and speaking to hundreds of thousands of followers, this man of God is haunted. At his side is Gerald, a friend and accomplice in hiding Ezekiel's sinful secrets despite his convictions. On the day of one of their televised meetings, faces from their previous lives return and send the two on a journey into what it means to have faith and the reasons for why they believe. Told from Gerald's perspective and a series of flashbacks, the past and present collide as Ezekiel's demons he tried to run from return, forcing him - and Gerald - to acknowledge the things they fear the most. With insight and empathy, N.T. 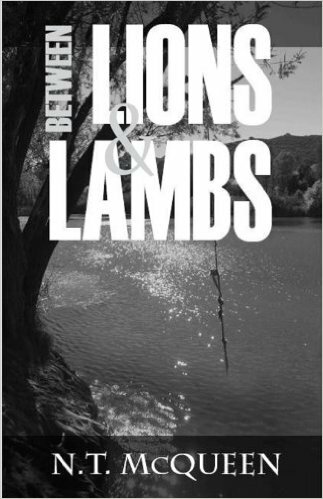 McQueen's provocative novel, Between Lions and Lambs, examines the nature of hypocrisy, the power of redemption and the faithfulness of grace until its shocking conclusion. The most infamous figure in religion tells his side of the story in N.T. McQueen's intriguing novella, The Disciple. 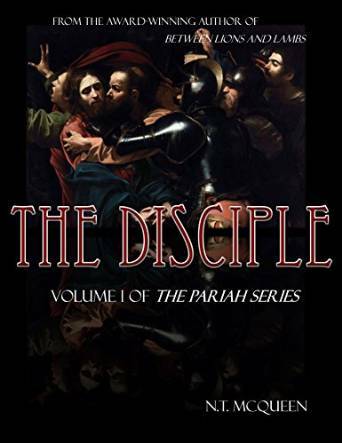 Told from the perspective of Judas himself, The Disciple is an intimate look at the driving forces and conflicts that lead to the betrayal and crucifixion of Jesus Christ. Take a look through the eyes of the one who betrayed his own as he struggles with his faith, his family, and the pulling forces between good and evil. From N.T. McQueen, author of Between Lions and Lambs, comes a story that will change your views about the disciple called Judas. Have you ever lost something? Then maybe you can help Moses Jones and his furry friend, Finkle, retrace their steps to help them find Moses's lost shoe in...Moses Jones and the Case of the Missing Sneaker. Moses Jones wakes up one day to find one of his sneakers missing. Thus begins a quirky, sometimes silly, ride through town and back again. Will he and Finkle find what they are looking for? Find out in Moses Jones and The Case of the Missing Sneaker.